Beyond the surface glitter of tech wealth currently overwhelming cities like San Francisco are the interstice communities that have barely survived the onslaught. In the streets, in transient hotels and in rent-controlled buildings, the residents settle and search, trying to hold on in the city at the edge of the world. In these stories, Daphne Gottlieb chronicles inner and outer worlds, shedding light on the significance of a cat, the larger meaning of a parking ticket, the violent mutability of an indoor hurricane, and the contents of a bag as the owner stalks like a wounded tiger through the streets, dragging the memory of her objects through the collection itself. 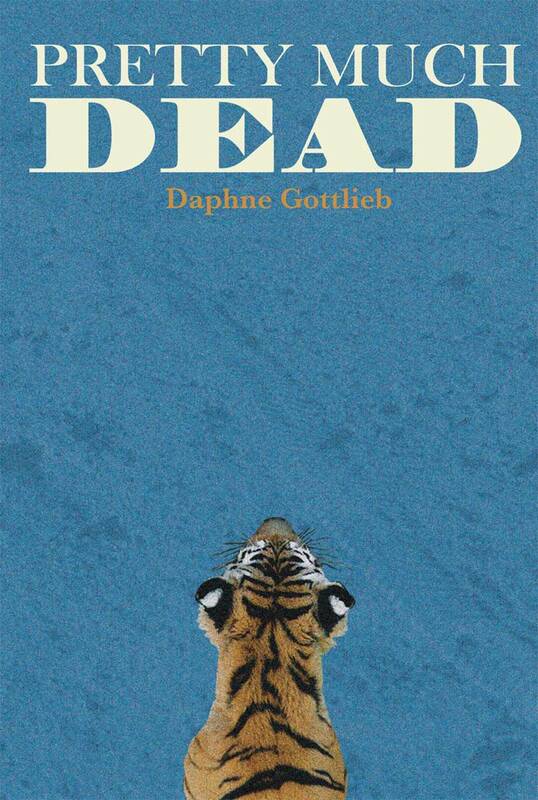 Artful, heartrending, clear-eyed and darkly magical, Pretty Much Dead is part fable, part witness, and part chorus, giving words to the voices that are only heard when they start to yell. * Book is $15.95 + $3.00 shipping and handling.